Greg woke up in the middle of the night not feeling well. We figured it was something he ate at dinner because we did not eat the same thing and I was feeling fine. We had a restless night. It rained during the night and the morning brought fog, dampness, and Greg still not feeling well. We took our time getting ready to head out. Greg got outside to unplug the electricity and water and nearly fainted. Now I do not mean we were in any danger, but he was just feeling poorly. So he laid down and we waited a while until he felt like we could get on the road. I drove the entire day so that he could doze. He did not eat again until mid-afternoon. As the day went on, he started feeling somewhat better, just weak because he was not eating. 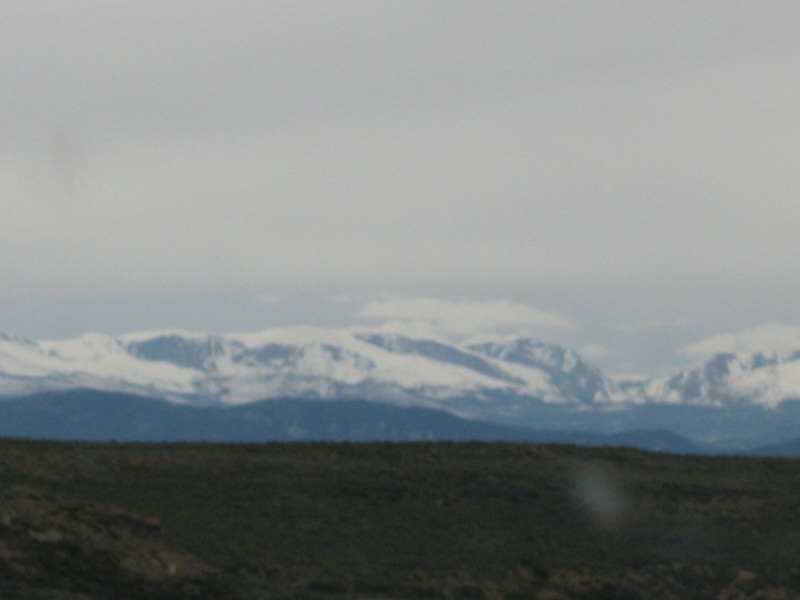 When we crossed over into Wyoming we were greeted by beautiful snow covered mountains. It is very windy and very cold. The high today was 55 degrees, but I bet the wind chill is 40. We’ve already decided we need to buy a sweatshirt when we get a chance, possibly in Cody. We have all levels of coats but the sweatshirt would feel good as well. We decided to spend tonight in a Hampton Inn in Sheridan Wyoming due to Greg not feeling well. I don’t want him to have to get outside in this weather and hook and unhook. I’m sure by tomorrow he will be fine. We are heading into some unsettled weather in Yellowstone. It seems the temperatures in Yellowstone early next week will be high’s in the 30’s and low’s in the teens. So we will have to track the weather carefully to determine if we can get into park, whether or not it will be snowing, and whether or not we will sleep in the RV or perhaps get into a hotel if any are open in the park. We could also stay put in Cody for a few days until the weather clears. No problem! 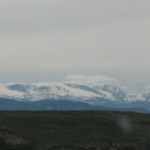 The photo today is the majestic snow covered mountains near Sheridan Wyoming. Hey, hope Greg is feeling better..good decision to stay in a hotel for a night. Rain is on it’s way…it will only be in the 50’s here tomorrow. We are here and have no plans so come whenever you want. And if Greg’s not better we can hook him up with a rodeo doctor! Hope Greg gets to feeling better. Maybe Greg overdid it with that Salon girl. Thanks for the post. I especially enjoy the pictures.